A robust body of research has found that intellectual stimulation could be a bulwark against the threat of dementia in old age. For instance, a Belgian study from 2014 suggests that being bilingual can delay the onset of dementia by four years. The average bilingual patient experienced the disease at the average age of 77, compared to 73 for monolingual patients. At an Oxford Literary Festival talk entitled “Dementia: How Can We Protect Ourselves?” Lawrence Whalley, Professor of mental health at the University of Aberdeen, quipped that for men looking to avoid dementia should seek out an intelligent woman to marry. The researchers say that the study of identical twins have found that a person’s environment plays a role in when the onset of dementia begins, and that activities like reading and doing crossword puzzles can help keep the brain healthy in old age. At the talk, Whalley also mentioned negative environmental influences that could raise the risk of dementia in old age, such as the death of a a parent. “Studies have shown that the death of a mother before the age of five is a very important risk factor for dementia in later life,” Whalley said. Another factor associated with later onsets of dementia is switching one’s career between the ages of 25 and 35. 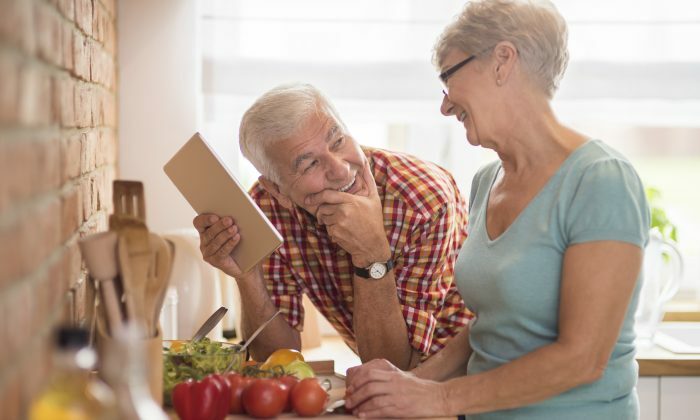 The talk also acknowledged the role that diet could play in dementia, and vitamin B13 was suggested as something that people over 50 should take.